Berry Patch by Terry Doughty. 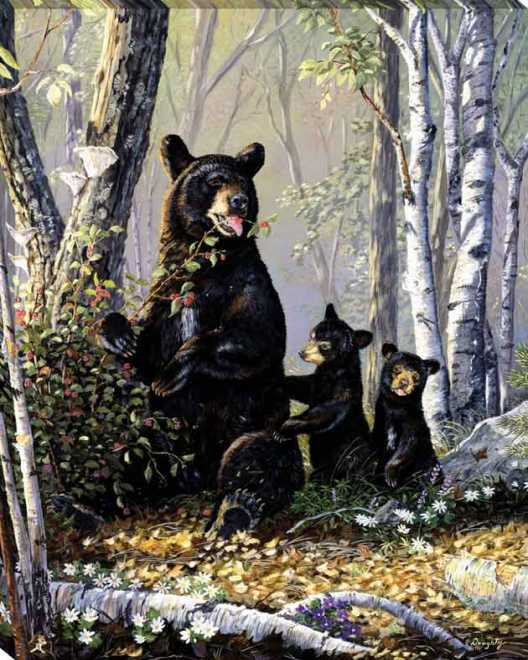 A bear and her cubs sitting in a forest. This picture is a gallery canvas wrap. We are a wholesale art manufacturer and supplier to the trade only.